The U.S. District Court for the Eastern District of Pennsylvania largely denied Defendants’ Motion to Dismiss in Pfeiffer v. Wawa, Inc., No. 16-497-PD, — F. Supp. 3d —, 2016 WL 5868098 (E.D. Pa. Oct. 6, 2016). Plaintiffs allege that Wawa defendants violated ERISA by adopting an August 2015 plan amendment forcing former employee participants out of the Plan. Pursuant to the amendment, Defendants liquidated the Wawa stock held in the ESOP accounts of former Wawa employees in September 2015. On behalf of a proposed class of former employees, Plaintiffs allege both that former employees had the right to continue to hold Wawa stock until age 68 and that the price paid for their stock in September 2015 was less than fair market value. Second, the Court held that Wawa did not violate the anti-cutback rule, ERISA section 204(g), by eliminating Plaintiffs’ right to own Wawa stock because the Department of Treasury has determined that the right to own a particular form of investment is not protected under the parallel IRC anti-cutback provision, 26 C.F.R. section 1.411(d)-(A-1)(d)(7). 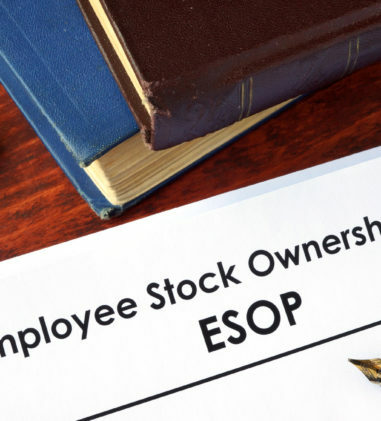 However, the Court ruled that Plaintiffs could proceed on their anti-cutback claim on the forced transfer of their individual accounts out of the ESOP because transfers without consent may violate the anti-cutback rule. See 26 C.F.R. section 1.411(d)(A-2)(a)(3)(v). In addition, the Court allowed most of Plaintiffs’ other claims to proceed, including claims for fiduciary violations arising out of defendants’ valuation of Wawa stock for purposes of the September 2015 forced sale and a claim seeking to invalidate the Plan’s indemnification provision pursuant to ERISA section 410. Plaintiffs allege that the proposed Class has lost out on tens of millions of dollars in investment gains as a result of the September 2015 forced sale – a hard loss to swallow, even with a cup of Wawa’s delicious house blend coffee. In consolidated class action alleging that fiduciaries of the Eastman Kodak Employees’ Savings and Investment Plan breached their ERISA-mandated duties through imprudent management, oversight and administration of the Plan, the court grants Plaintiffs’ counsel a reduced award of attorneys’ fees of 25% of the common fund, for a total of $2,425,000.00, plus the requested costs and expenses in the amount of $119,100.88 and class representative awards of $5,000.00 for each of the class representatives. In re Eastman Kodak Erisa Litig., No. 12-CV-6051L, __F.Supp.3d__, 2016 WL 5746664 (W.D.N.Y. Oct. 4, 2016) (Judge David G. Larimer). In putative class action brought by terminated Wawa employees alleging that Defendants Wawa Inc., its Employee Stock Ownership Plan Trustees, and its Plan Administrators violated ERISA by amending the Plan to eliminate Plaintiffs’ right to own Wawa stock, forcing liquidation of Plaintiffs’ Wawa stock at an unfair price, and misrepresenting Plaintiffs’ rights under the Plan, largely denying Defendants’ motion to dismiss all claims. Pfeifer v. Wawa, Inc., No. CV 16-497, __F.Supp.3d__, 2016 WL 5868098 (E.D. Pa. Oct. 6, 2016) (Judge Paul S. Diamond). Finding that Defendant Reppert, Inc. failed to engage an independent qualified public accountant to conduct an audit of the 401(k) Plan for plan years 2008 through 2011 as required by 29 U.S.C. § 1023(a)(3)(A). 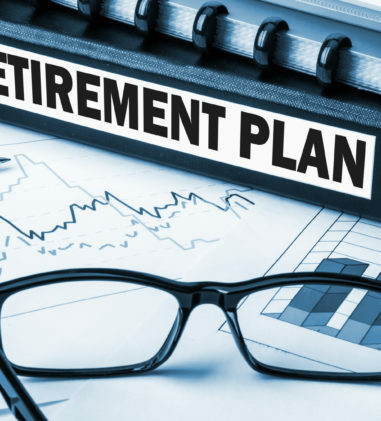 The 401(k) Plan did not qualify for an audit exemption for those years, because it had more than 120 participants at the beginning of the 2008 plan year and was thus not permitted to file a simplified annual report. Askew v. R.L. Reppert, Inc., No. 11-CV-04003, 2016 WL 5661714 (E.D. Pa. Sept. 30, 2016) (Judge James Knoll Gardner). Denying Defendants’ motion to dismiss the First Amended Complaint. The Secretary has sufficiently alleged that Defendants are plan fiduciaries; FCE Benefit Administrators and Ward’s alleged concealment of their illegal action does not invalidate the Secretary’s claims against the Chimes Defendants; Secretary has sufficiently alleged Defendants breached their fiduciary duties by receiving benefits in connection with the Chimes D.C., Inc. Health & Welfare Plan’s retention of FCE, by receiving payments and discounts from BCG and Ramsey in connection with the Plan’s retention of BCG, and by FCE’s receiving of payments from service providers. Thomas E. Perez, Sec’y of Labor v. Chimes District of Columbia, Inc., et al., No. CV RDB-15-3315, 2016 WL 5815443 (D. Md. Oct. 5, 2016) (Judge Richard D. Bennett). ERISA Embezzlement conviction affirmed. Embezzlement from an ERISA plan occurs when a person “embezzles, steals, or unlawfully and willfully abstracts or converts” any money from an ERISA employee benefits plan for “his own use or … the use of another.” 18 U.S.C. § 664. The government presented ample evidence to show that Defendant acted willfully with the specific intent to deprive the 401(k) plan of its funding. Evidence showed that Defendant withdrew money from Sommet’s clients’ accounts, took 401(k) contributions from the employee paychecks it processed, and yet failed to pass all of the designated funds to the 401(k) recipients Defendant also used the company account for a variety of non-client expenditures. United States of America v. L. Brian Whitfield, No. 15-5668, __F.App’x__, 2016 WL 5682708 (6th Cir. Oct. 3, 2016) (BEFORE: ROGERS, SUTTON, and COOK, Circuit Judges). Because Plaintiffs have not shown that common questions of law or fact would predominate over individual disputes, denying class certification of proposed class including beneficiaries under ERISA-governed employee welfare benefit plans that were insured by group life insurance policies issued by Prudential that contained the payment language, “Life Insurance is normally paid to the Beneficiary in one sum” and Prudential “retained their death benefits” in a Prudential Alliance Account. Huffman v. Prudential Ins. Co. of Am., No. 2:10-CV-05135, 2016 WL 5724293 (E.D. Pa. Sept. 30, 2016) (Judge Joseph F. Leeson). Aetna did not act arbitrarily and capriciously in denying Plaintiff’s claim for short-term and long-term disability benefits, where Aetna found that there was no objective evidence in the medical records showing that Plaintiff’s chronic daily headaches were sufficiently severe or intense as to preclude work, and where Plaintiff was eventually diagnosed with multiple sclerosis. Ackaway v. Aetna Life Ins. Co., No. CV 14-1300, 2016 WL 5661724 (E.D. Pa. Sept. 30, 2016) (Judge Edward G. Smith). In applying the terms of a Rehabilitation Provision, Reliance did not abuse its discretion by interpreting “earnings” to include the amount Plaintiff’s employer applied to cover the shared overhead before physically distributing any earnings to Plaintiff, even though Plaintiff’s employment agreement provides that Plaintiff’s compensation is calculated by subtracting her “shared expenses” from her “gross collections.” Patrick v. Reliance Standard Life Ins. Co., No. CV 15-169-SLR/SRF, 2016 WL 5662138 (D. Del. Sept. 29, 2016) (Judge Sue L. Robinson). Liberty Life abused its discretion in denying former wine salesman long-term disability benefits where it: (1) ignored or failed to consider important evidence of Plaintiff’s actual physical job duties in making its determination of his “Own Occupation;” (2) failed to consider the alternate DOT occupation of “Driver/Sales Worker;” and (3) had a clear conflict of interest under Glenn v. MetLife, due to its dual roles of administering the plan and making the benefits determination. Sapp v. Liberty Life Assurance Company Of Boston, No. 1:16-CV-105, 2016 WL 5660449 (E.D. Va. Sept. 28, 2016) (Judge Liam O’Grady). Where the only question is whether Connelly was disabled before coverage ended in July 2011, Standard did not arbitrarily deny his long-term disability claim, where the two statements of Connelly’s treating physicians recalling his condition were recorded over a year after coverage ended and the records contemporaneous to that July 2011 time frame provide little or no support for the claim that Connelly was being treated for severe Crohn’s disease flare-ups. His diagnosis during the coverage period is not determinative of whether those conditions prevented him from working before coverage ended. Connelly v. Standard Insurance Company, No. 16-3036, __F.App’x__, 2016 WL 5754176 (6th Cir. Oct. 4, 2016) (BEFORE: SUTTON and STRANCH, Circuit Judges; STEEH, District Judge). On de novo review of Plaintiff’s long-term disability benefit denial, granting Plaintiff’s motion for judgment. Plaintiff worked in the operation of welding machinery and became disabled due to lumbar radiculopathy, rotator cuff syndrome, and a number of other conditions. The court found that the transferable skills analyses (TSAs) and paper review conducted by UDC are unreliable. United failed to give the treating doctor opinions due consideration and unreasonably gave great weight to a medical opinion that was neither the result of treatment nor examination. One of the jobs listed in the TSA, surveillance-system monitor, was taken over by Homeland Security. Further, casinos security monitoring jobs now require more experience and qualifications, and usually involve more than sedentary work. Mokbel-Aljahmi v. United of Omaha Life Ins. Co., No. 15-12537, 2016 WL 5661585 (E.D. Mich. Sept. 30, 2016) (Judge Victoria A. Roberts). 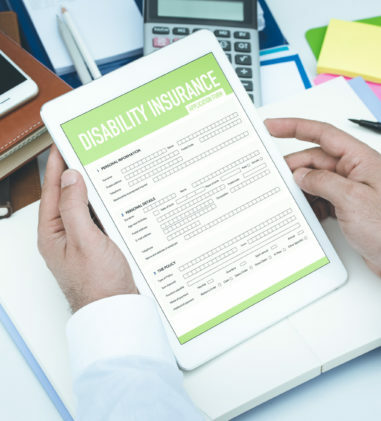 It was not arbitrary and capricious for Liberty Life to fail to address any potentially applicable federal safety regulations in determining whether Plaintiff was disabled under the Policy. Rothe v. Duke Energy Long Term Disability Plan, No. 1:15CV211, 2016 WL 5661686 (S.D. Ohio Sept. 30, 2016) (Judge Michael R. Barrett). De novo review applies, where the disability plan documents—the Group Policy (Group Contract) and the Certificate of Insurance—do not contain a clear and unambiguous grant of discretion, and only the employer Summary Plan Description (prepared by Blue Shield) contains a grant of discretion. A SPD is not a “plan document.” Even if the SPD were a “plan document,” any grant of discretion would be voided by operation of California Insurance Code § 10110.6. Murphy v. California Physicians Serv., No. 14-CV-02581-PJH, __F.Supp.3d__, 2016 WL 5682567 (N.D. Cal. Oct. 3, 2016) (Judge Phyllis J. Hamilton). Plaintiff was a financial sales professional with AXA who experienced neck and back pains stemming from injuries suffered in 2003. He regularly worked 70 to 75 hours per week until July 2008, but, due to the pain from the injuries, reduced his workload to 60 hours per week through February 2009, and then 45 hours and below per week thereafter. He was considered a full-time employee during the relevant period since he met his sales goals as a sales associate. Plaintiff applied for LTD benefits in the fall of 2008, but MetLife denied his claim in October 2009. The court found that MetLife properly concluded that being “Disabled” required a functional limitation, and that being “Disabled” and “Active at Work” were not overlapping periods under the LTD Plan. 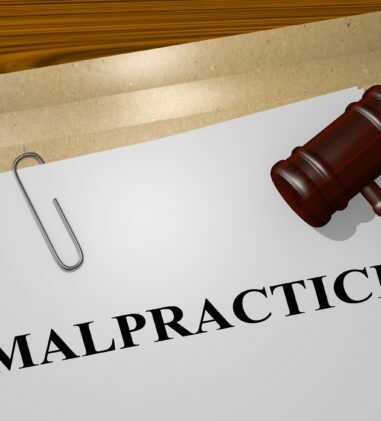 MetLife did not act unreasonably in determining that Plaintiff was not functionally limited where MetLife had his claim reviewed by four independent physician consultants who attempted to contact Plaintiff’s past physicians before making their findings. MetLife also hired vocational consultants who found that Plaintiff could successfully perform his duties. German v. Metro. Life Ins. Co., No. 15-60392-CIV, 2016 WL 5661628 (S.D. Fla. Sept. 30, 2016) (Judge Marcia G. Cooke). In matter involving the denial of partial hospitalization benefits for an eating disorder and other related mental health benefits, denying Movant New Jersey Department of Banking and Insurance’s motion to quash subpoena Plaintiff served upon non-party HMSPermedion, Inc., finding that even if the Health Care Quality Act’s confidentiality provision is read to preclude the participant from accessing her administrative file it will be preempted by ERISA. 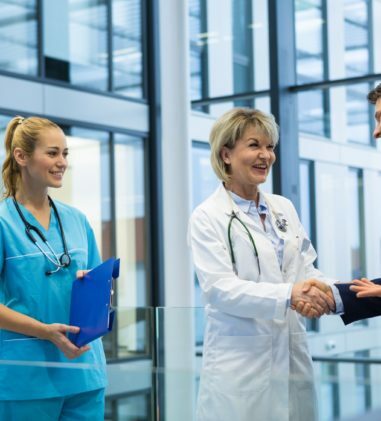 “If the confidential mandate of the New Jersey Health Care Quality Act is read to prevent Plaintiff from accessing her complete record, it will directly conflict with the rights granted by ERISA regarding a full and fair review. The provision will be preempted by ERISA and Plaintiff will be permitted to examine the documents. Alternatively, a reading of the Health Care Quality Act that takes into account the drafters’ intention to protect the privacy interests of the plan participant will afford Plaintiff access to the documents in question.” v. Horizon Blue Cross Blue Shield of New Jersey, No. 14CV01153CCCCLW, 2016 WL 5791402 (D.N.J. Sept. 30, 2016) (Magistrate Judge Cathy L. Waldor). Court will not disturb the magistrate judge’s ruling that discovery is permitted based on the allegation that Liberty Life had a conflict of interest. With respect to the discovery permitted by the Magistrate Judge: (1) overruling Liberty Life’s objection that permit Scott-Warren to seek discovery of the insurance company’s answer to the complaint and affirmative defenses; (2) modifying the order and requiring Liberty Life to answer the statistical data interrogatories beginning on November 5, 2009, and, only with regarding claims submitted by Dr. Tal Jiva (and not about other CompPartners’ other reviewers who were not involved in Plaintiff’s claim); and (3) “Liberty Life must answer questions concerning is connections, contractual or otherwise, to CompPartners and Dr. Tal Jiva and the financial payments paid to them annually, along with information concerning any documentation of administrative processes designed only to check the accuracy of grant of claims. But Liberty Life is not required to provide any response regarding the credibility or professional backgrounds of CompPartners or Dr. Tal Jiva. Liberty Life is not required to provide documents pertaining to other claimants because those documents are not relevant to Scott-Warren’s claims, and they would contain confidential information that could raise serious HIPPA concerns and would make production of documents far more burdensome than potentially relevant. Additionally, as discussed above, the Court will modify the relevant time period to begin on November 5, 2009.” Suzette Scott-Warren v. Liberty Life Assurance Co. of Boston, No. 314CV00738CRSCHL, 2016 WL 5661774 (W.D. Ky. Sept. 29, 2016) (Judge Charles R. Simpson). The Responsible Bidder Ordinance (“RBO”) is not narrowly tailored to address proprietary concerns of the City, and thus, the City was not acting as a market participant when it enacted the RBO. ERISA preempts Section 320-5 of the RBO, which requires bidders and the bidders’ subcontractors to participate in an apprenticeship program for the primary apprenticeable occupation on the project that has graduated at least one apprentice from the apprenticeship program for each of the past five years. Section 320-5 impermissibly impacts the uniformity of the structure and administrative practice for ERISA plans. Allied Constr. Indus. v. City of Cincinnati, No. 1:14CV450, 2016 WL 5661674 (S.D. Ohio Sept. 30, 2016) (Judge Michael R. Barrett). In dispute over retirement health coverage where Plaintiff alleged new matters in the First Amended Complaint that were not raised before or considered by the Claim Appeal Committee, concluding that Plaintiff’s request for benefits should be heard by the Board of Trustees Claim Appeal Committee to consider the facts, argument, and evidence that Plaintiff relies on in his First Amended Complaint and in his Response to Defendants’ Motion for Summary Judgment. Osires v. Oregon Teamster Employers Trust, No. 3:15-CV-02067-BR, 2016 WL 5844318 (D. Or. Oct. 4, 2016) (Judge Anna J. Brown). 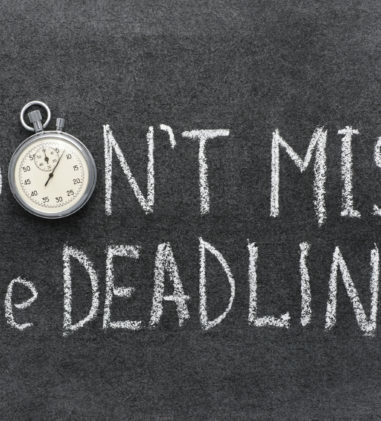 State law claims related to long-term disability benefits are preempted by ERISA and subject to dismissal without prejudice for failing to exhaust administrative remedies by submitting an appeal within 180 days of receipt of the denial letter. Qanadilo v. URS Corp., No. 5:16-CV-635, 2016 WL 5791501 (N.D. Ala. Oct. 4, 2016) (Judge C. Lynwood Smith, Jr.). Defendants are entitled to review under the arbitrary and capricious standard even though Aetna was late in making a decision, it was otherwise in full conformity with the applicable regulations and the Plan, and Plaintiff did not file suit immediately upon the expiration of the initial ninety day time limit. Aetna did not abuse its discretion in denying accidental death benefits, where the decedent died while extremely intoxicated, driving his motorcycle in excess of 124 miles per hour in a 55 miles per hour zone, at 8:11 p.m. (dusk). Aetna would also prevail if de novo review applied. Wilson v. Aetna Life Ins. Co., No. 815CV752MADCFH, 2016 WL 5717370 (N.D.N.Y. Sept. 30, 2016) (Judge Mae A. D’Agostino). Where participant was killed while piloting his private airplane, insurer did not abuse its discretion in denying death benefits based on an exclusion for loss “caused by or resulting from, directly or indirectly, a Primary Insured Person riding as a passenger in, entering, or exiting any aircraft while acting or training as a pilot or crew member.” Asher v. Battelle Mem’l Inst., No. 2:15-CV-1097, 2016 WL 5661695 (S.D. Ohio Sept. 30, 2016) (Judge James L. Graham). 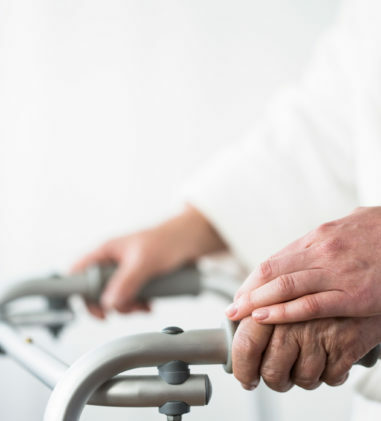 The application of the Taft Hartley Act does not render Plaintiff legally incapable of having been a participant in the Pension Plan and therefore lacking a colorable claim to benefits under ERISA. However, Plaintiff failed to prove her participant status on the basis of the undisputed facts and is not entitled to benefits as a matter of law. 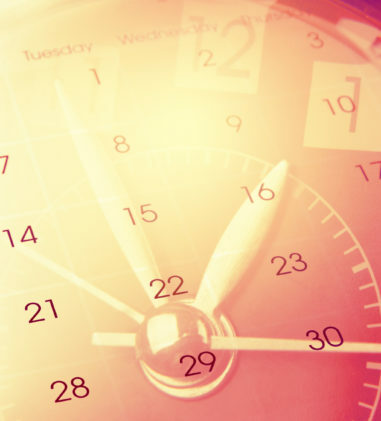 Although the issue of Plaintiff’s statutory standing to bring § 1132 and § 1104 claims remains unresolved, the applicable statutes of limitations bar Plaintiff’s claims, regardless of her participant status. Fiorentino v. Bricklayers & Allied Craftworkers Local 4 Pension Plan & the Bd. of Trustees of the Bricklayers & Allied Craftworkers Local 4 Pension Plan, No. CV1502065FLWLHG, 2016 WL 5723660 (D.N.J. Sept. 30, 2016) (Judge Freda L. Wolfson). Plaintiff sufficiently alleged that 29 U.S.C. § 1132(a)(3) claim is more than a mere “re-packaging” of denial of pension benefits claim, where Plaintiff alleges a course of conduct by Defendants, by which they provided Plaintiff with confusing and inconsistent information in response to his written benefits inquiries; alleges that Defendants failed to furnish full copies of plan documents from which he could ascertain his rights; and alleges that Defendants failed to offer a full and fair claims process. Bulger v. Eaton Corp., No. 1:16CV405, 2016 WL 5807111 (N.D. Ohio Oct. 5, 2016) (Judge Christopher A. Boyko). The Fraser Papers Guidelines does not constitute an ERISA severance plan, where the Guidelines establishes that the Guidelines contemplated a lump sum payment based on a defined computation, and Defendant did not have ongoing management and administrative burdens in connection with the payment of severance because under the terms of the Guidelines, Defendant was not required to manage a designated severance fund, and Defendant was not required to provide benefits on an ongoing basis. Gehrman v. Twin Rivers Paper Co., No. 1:14-CV-00341-JCN, 2016 WL 5816988 (D. Me. Oct. 5, 2016) (Magistrate Judge John C. Nivison). Granting motion to dismiss since the District Court’s order remanding this matter to the ERISA plan administrator for further proceedings is not a final order; denying an award of fees against Appellant, but granting costs. Morrison v. Liberty Life Assurance Company of Boston, et al., No. 15-2095, __F.App’x__, 2016 WL 5682554 (3d Cir. Oct. 3, 2016) (Before: CHAGARES, GREENAWAY, JR., and RESTREPO, Circuit Judges). Montanile v. Bd. of Trustees of Nat. Elevator Indus. Health Benefit Plan, 136 S. Ct. 651, 657 (2016) overruled neither the holding nor the rationale of Edmonson v. Lincoln Nat. Life Ins. Co., 725 F.3d 406 (3d Cir. 2013). 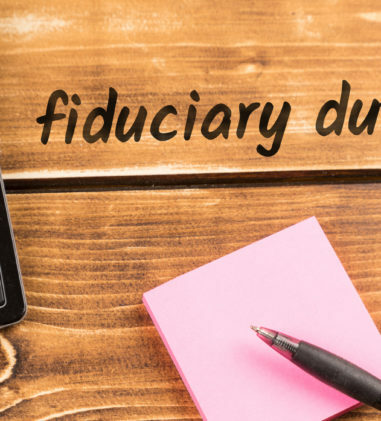 Accounting and disgorgement may be appropriate equitable remedies for knowingly participating in fiduciary breach. Spear v. Fenkell, No. CV 13-2391, 2016 WL 5661720 (E.D. Pa. Sept. 30, 2016) (Magistrate Judge Richard A. Lloret). Discover is not be liable for a COBRA notification violation under the ERISA because it is not the “plan administrator.” Only the plan administrator is liable for statutory penalties based on a COBRA notification violation. In this case, the “Employee Benefits Committee of Discover Financial Services” is the plan administrator. Myrick v. Discover Bank, No. 16-1966, __F.App’x__, 2016 WL 5859702 (3d Cir. Oct. 7, 2016) (Before: VANASKIE, SCIRICA and FUENTES, Circuit Judges). Finding that Defendant Reppert, Inc. is not liable under 29 U.S.C. § 1132(c)(1) for any failure to produce any other custodial agreements for the 401(k) Plan (apart from the custodial agreement with Nationwide Trust Company, FSB), and imposing a document penalty of $15,959.00 for its failure to timely produce plan documents for the period December 6, 2008 to October 2, 2009 and for its failure to timely produce its custodial agreement with the Nationwide Trust Company, FSB for the period May 17, 2012 to January 1, 2015. Askew v. R.L. Reppert, Inc., No. 11-CV-04003, 2016 WL 5661714 (E.D. Pa. Sept. 30, 2016) (Judge James Knoll Gardner). 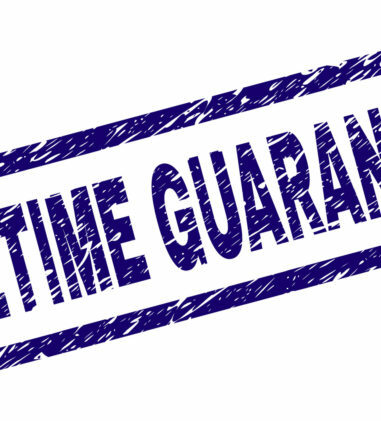 Denying Liberty Life’s claim for alleged overpayment in long-term disability case, where the SSDI award causing a retroactive overpayment was issued after the administrative record already closed. “Having successfully moved the Court to strike the only evidence of Plaintiff’s receipt or possession of Social Security Disability benefits, Defendant proffers no evidence to support its request for refund.” Folds v. Liberty Life Assurance Co. of Boston, No. 4:15-CV-00354, 2016 WL 5661615 (N.D. Ohio Sept. 30, 2016) (Judge Benita Y. Pearson). In a dispute between a health care provider and a no-fault automobile insurance company regarding payment of insured’s charges for medical care, where the insured is covered by both an ERISA plan and a no-fault automobile insurance policy, concluding that the ERISA Plan provision at issue, which excludes coverage required by no-fault auto insurance, is an absolute exclusion and not an escape-type coordination-of-benefits provision. Bronson Health Care Grp., Inc. v. State Farm Mut. Auto. Ins. Co., No. 1:15-CV-823, 2016 WL 5661664 (W.D. Mich. Sept. 29, 2016) (Judge Gordon J. Quist). 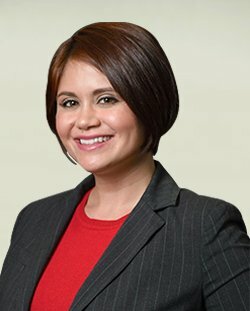 In decade-long dispute between two employee benefit funds concerning the right to contributions made by employers pursuant to a number of collective bargaining agreements, Plaintiffs are awarded judgment in the amount of $2,460,777.33 plus interest. Silverman v. Miranda, No. 6 CIV. 13222 (ER), 2016 WL 5793395 (S.D.N.Y. Sept. 30, 2016) (Judge Edgardo Ramos). Upholding arbitration award of withdrawal liability in its entirety. Plaintiff’s motion to enforce the award in part is granted, as is Defendant’s motion to enforce, in part, the arbitration award. Quad/Graphics, Inc. v. Graphic Commc’ns Conference of the Int’l Bhd. of Teamsters (GCC-IBT), Nat’l Pension Plan, No. 15 C 3439, 2016 WL 5720474 (N.D. Ill. Sept. 30, 2016) (Judge Rebecca R. Pallmeyer).